A native of Ripon, Xenophon Kelsey, MBE, studied horn, double bass, piano and conducting in Manchester and was principal horn and conducting student on the European Summer Schools for Young Musicians in Vienna, Salzburg and Montreux from 1967-71. He has played horn with the CBSO, Manchester Mozart and Ulster Orchestras, as well as various chamber ensembles and other orchestras. 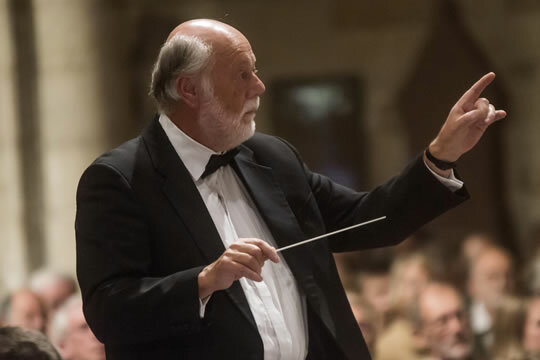 As a conductor, he has specialised in working with young musicians, most notably with Stockport Youth Orchestras, the Northern Youth Orchestras Association and Primavera Youth Chamber Orchestra, Cheshire. Xenophon has brought to his many orchestras a remarkable reputation for excellence. In 1989, he returned to Ripon to develop a varied freelance career as conductor, chamber music coach, teacher, lecturer, composer, arranger and performer. 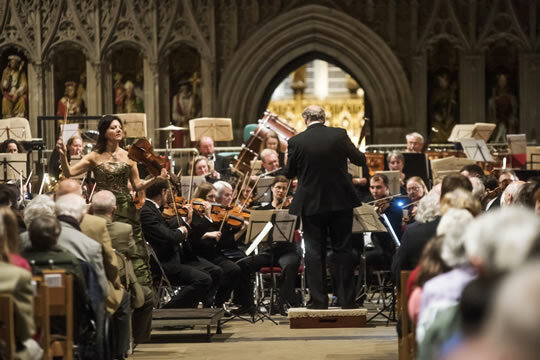 In addition to his work as conductor of the St Cecilia Orchestra, he directs the Ripon Community Orchestra and the Mowbray Orchestra and Ensemble. 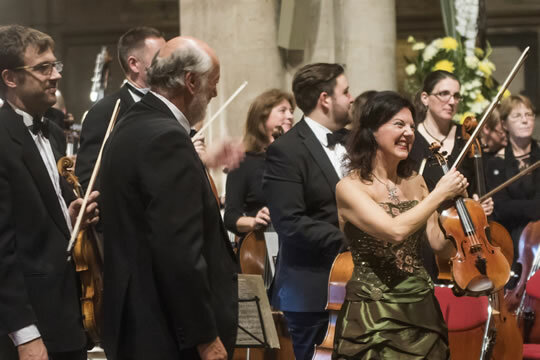 Xen was a moving spirit behind the establishment of the Ripon Cathedral Concert Society, the St Cecilia Orchestra, Ripon Youth String Orchestra and the Ripon Youth Choirs Association. He is the founder and director of the outstandingly successful Vacation Chamber Orchestras organisation, promoting residential courses for advanced music students and performing throughout Europe as well as in the UK. So far, they have played in Austria, Belgium, France, Germany, Hungary, Italy, Romania and Switzerland. 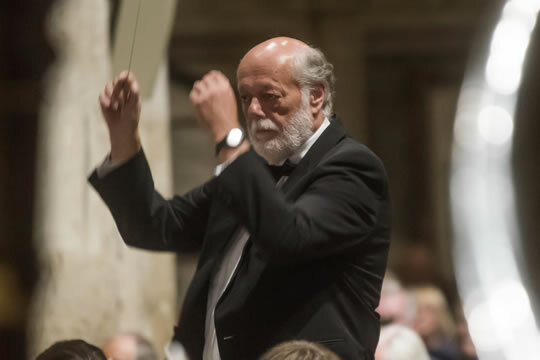 In 2003 Xenophon appeared as guest conductor with the Oxford University Orchestra in a performance of Mahler’s Symphony No 5 at the Sheldonian Theatre and in 2005 he conducted several performances of Puccini's La Boheme with Opus 1 Music Opera Group. He is also a long-standing member of the distinguished international jury at the European Festival of Music for Youth in Belgium. In May 2007 he was awarded the accolade of ''Ambassador of the Festival' in recognition of his services to the Festival and to youth music in Europe. In 2008 he was the first winner of the 'Jewels of Ripon' award for his contribution to culture in Ripon and, in the 2009 Queen's Birthday Honours he was awarded an MBE for his services to music. Outside music, his main interest is walking and he has completed many of the long-distance footpaths in the UK and scaled most of the summits in the Lake District, the Peak District, Snowdonia and the Yorkshire Dales. In 2011/12 he walked from John O'Groats to Lands End on a sponsored walk to raise funds for both the St Cecilia Orchestra and for VaCO. He reached the end of his walk in October 2012 and wrote a comprehensive report on music and music education throughout the UK (The “Andante Report”), which has been widely circulated and received considerable acclaim.